MomSchool series by Mommy Mundo – What is a Progressive School? 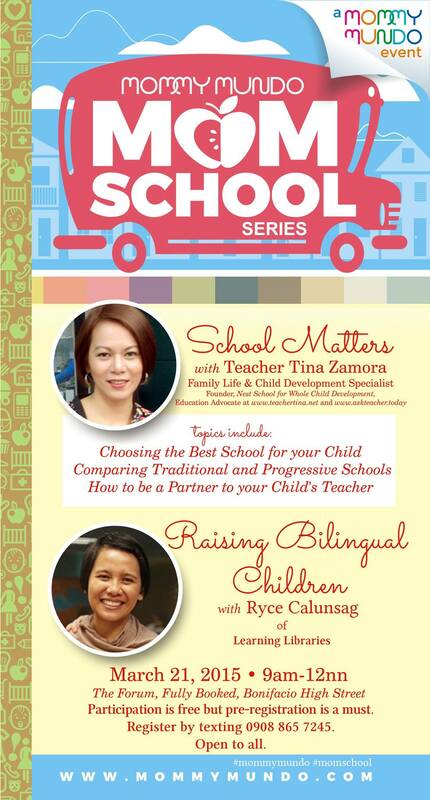 Posted on March 5, 2015 by teachertinazamora	This entry was posted in Features, Guesting, Seminar and tagged bilingual child, fully booked, learning libraries, mommy mundo, momschool, progressive education, ryce calunsag, teacher tina, the forum. Bookmark the permalink.